Ernest Gellner (1925–1995) was one of the major thinkers of the twentieth-century. He held major chairs in philosophy, sociology and social anthropology during his distinguished career and contributed to a wide range of political and philosophical debates, from linguistic philosophy to the theory of political nationalism and the theory of history. As an outspoken defender of the Enlightenment tradition and of liberal pluralism, Gellner was a committed opponent of theocracy, totalitarianism and libertarianism, and also acquired a deserved reputation as a scourge of a number of the twentieth century’s intellectual idols, most notably Marx, Freud and Wittgenstein. 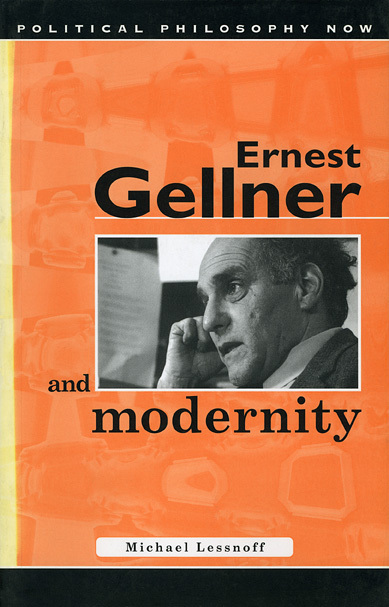 Ernest Gellner and Modernity is a groundbreaking book which provides the first comprehensive discussion of this polymathic writer and thinker. Michael Lessnoff presents a lucid and coherent exposition of Gellner’s thought, making clear both his major contributions to the diverse areas in which he worked and the underlying consistency and unity of his thought. He shows how Gellner’s analysis of the social, economic and cognitive forms intrinsic to modernity carried forward the work of Max Weber and Karl Popper and also enabled him to develop a profound and original philosophy of science which is at the same time a political philosophy.